Learning to teach English has never been so easy! Africa and Asia Venture have teamed up with TEFL Express to offer quick and convenient online courses to our volunteers. 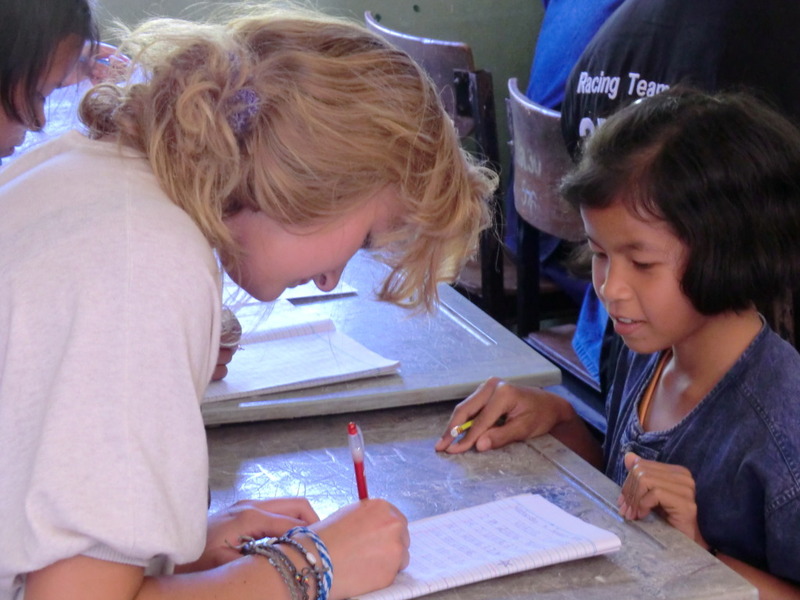 Whether you want to teach English as a foreign language as a future career, or if you simply want to feel a bit more confident in the classroom during your time volunteering with us, TEFL Express have a course to suit your needs. You don’t need to have any previous teaching experience before taking a TEFL Express course and after graduation you can apply for thousands of TEFL jobs worldwide. They have a long history of certifying teachers and ensuring they are fully prepared and confident for their first few days in the classroom, this makes TEFL Express the perfect partner for Africa and Asia Venture because it helps our AV’s prepare for life in the classroom overseas. Exclusive courses available if you sign up through AV! Learn how to best teach and assess the four skills (reading, writing, listening, speaking) with this course. Improve your classes by improving your planning. This course shows you how to write the perfect plan for any type of class. Make overall improvements to your teaching with this overview course. You’ll learn how to correct errors–both students’ and yours. Treat yourself to a grammar refresh. This course covers the most commonly used English grammar and how to bring it into your classroom. Find new ways to teach vocabulary and pronunciation. You can never have too many strategies for these important topics. Understand how to keep control of your class from start to finish. This course takes you from lesson planning to troubleshooting. You benefit from improving your skills ahead of your time travelling with AV and don’t have to learn the modules that you don’t need that may be included in the longer, fully comprehensive courses. This can enhance your CV or resume as well as aiding you in your time spent within the local schools in your chosen country. Classroom management for example may prove invaluable if you are taking a Gap Year with AV and will be spending up to 12 weeks volunteering in a school environment. You will learn invaluable skills to help you make the most of your year out whilst also enabling you to make a lasting and positive impact on the learning of the children you will be volunteering with. Providing training for both new and experienced teachers to enhance the quality of their teaching and to update them on current trends in TEFL. Includes video-based instruction with essential modules on lesson planning, approach and methodology, among others. In addition to the online course, you receive five e-books to continue your professional development. A solid introduction to the world of TEFL. This video based course will teach you about various aspects of this career including classroom management, teaching lexis and phonology, a grammar refresher and lots more. Based online so you benefit from all of the learning opportunities with none of the hassle of having to get to a college campus. This course can act as a springboard in to a career in teaching English as a foreign language.